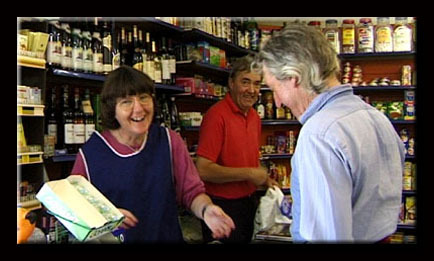 It is believed East Garston has had a village shop since at least 1847 when the shopkeeper was a Thomas Rogers who was also the village baker. 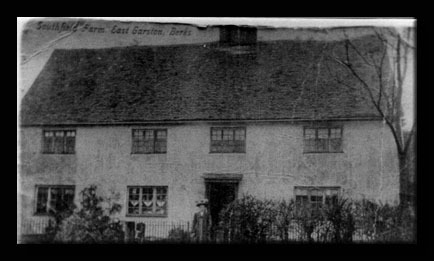 In the Post Office directory of 1854 there were two shops listed, one including a bakery, The Old Mailhouse which was also the post office and the other was at East Garston House. The first mention of a post office seems to be in 1883 when a William Reeves had it and it is thought this was at what is now Greengates. William Reeves was there until around 1895 and then in 1899 it is recorded that Mrs Reeves was in charge so presumably William had died. 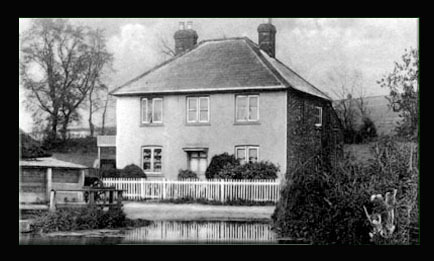 Mrs Reeves obviously didn’t stay there long because by 1902 a Sarah Waldron was postmistress and in the Parish council records of 1902 it was reported that the Parish Council had received a request from the postal authorities as to the capabilities of a Winifred Waldron who was Sarah’s daughter, to deliver letters in the village. The P.C. 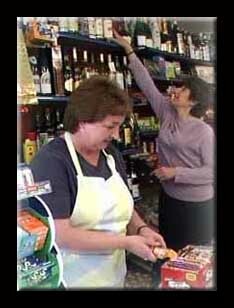 obviously felt she was trustworthy and recommended she would be suitable for the job. 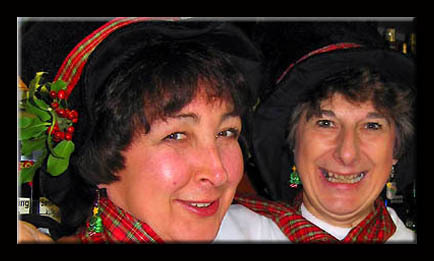 Sarah had several children but two sons Frank and Harry, remained in the village for the rest of their lives. Harry Waldron living in South View and Frank Waldron in North View which of course is now number 2 The Waldrons, so if anyone didn’t know where the name came from - you do now.!! 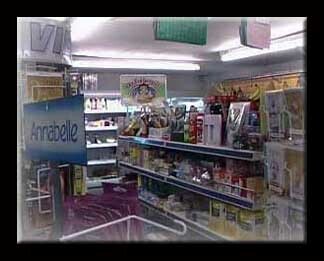 (top left) - this is the shop in 1935 and this is how it looked when I was a little girl. I was born in Church Cottage which is just a few yards up the road so not far to go. 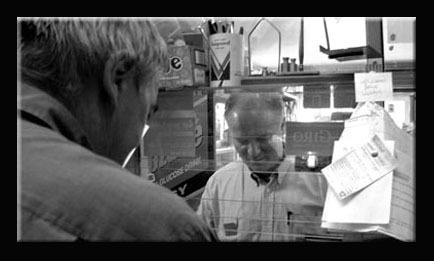 Tommy Flowers, son of Henry was the shopkeeper and postmaster. 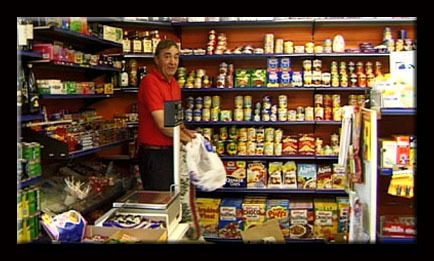 I remember a long counter with things for sale on it but mainly I remember sacks on the floor which contained flour, currants, rice etc. 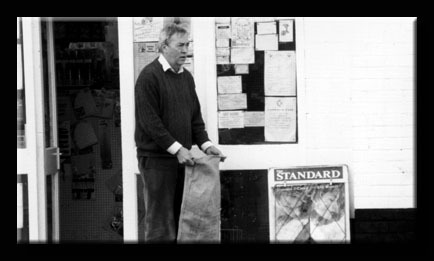 which were put into thick blue paper bags the top being folded in such a way that none of the contents ever spilled out on the way home. I am sure there would have been a few mice running about and there was definitely a cat that used to sit on the counter but we didn’t worry about things like that in those days!!. 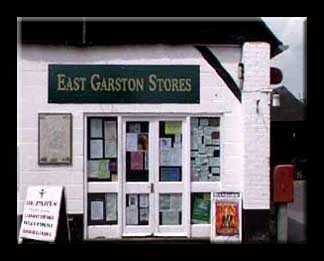 The earliest record of the shop at what is now East Garston House, seems to be in 1895. 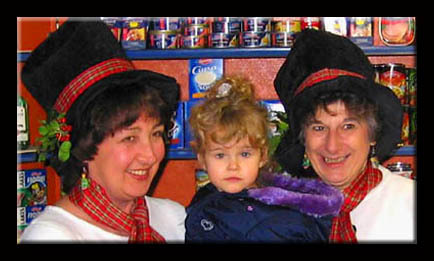 It was described as a bakery that also had a shop. In 1945 they bought the shop in Eastbury, now called The Old Bakery, and left the E.G. 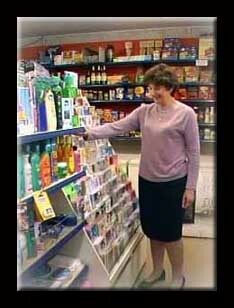 shop in the hands of Lucy Holton who was an evacuee and lived at Mask Cottage, Lucy had worked for them for a while, however in or around 1949, Frank sold the E.G. business to a Mr. Hurlock who subsequently sold it to Mr and Mrs Perry. 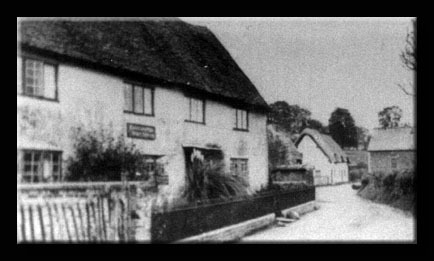 In the early 1950’s the shop and post office at the other end of the village ( The Mail House) was sold by Mr Flowers to a Mr and Mrs Leigh. 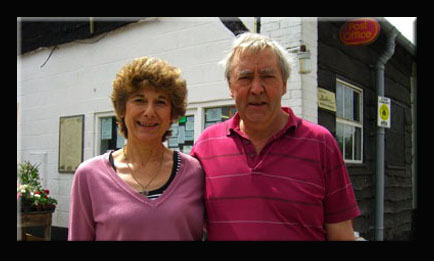 They ran the business from there for a short while and then bought the shop at the bottom end of the village as well from Mr and Mrs Perry. So E.G. 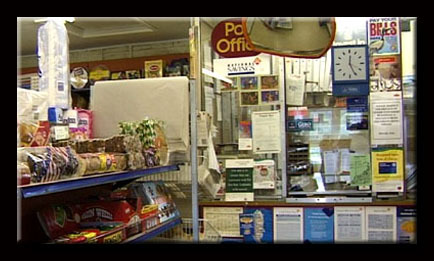 was reduced to one shop for the first time in over one hundred years and the shop and post office was now situated at the other end of the village. 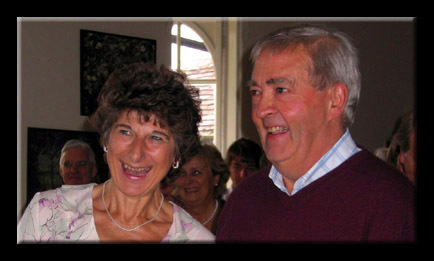 Mr and Mrs Leigh ran the business until 1956 when Major Ronald Freer and his wife Gladys bought it. 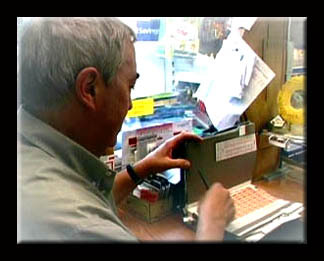 They ran the shop and post office until around 1975. 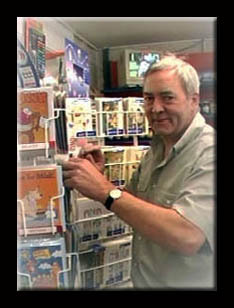 He then retained the Post Office but rented the shop to a Mr Lake who was also running one of the the shops in Great Shefford. Mr. Freer continued to run the Post Office from a room at the back of the house. 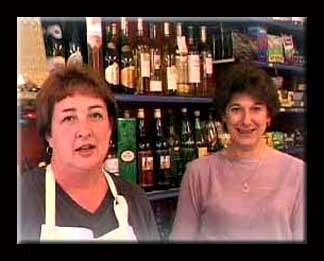 It was at that time that my husband Chris had decided on a career change and in April 1979 we took over as tenants, starting off in the existing shop at the left hand side of the building and after a couple of years moving into a larger room on the right hand side. 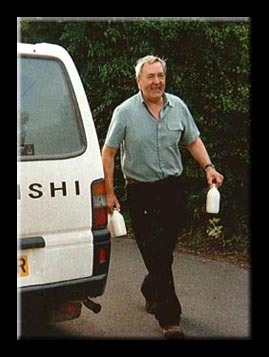 In early 1984 Charlie and Jean Green decided to retire from delivering the milk around the village which they had been doing for 30 years and Chris bought the business from them and combined a milk round with shopkeeping. 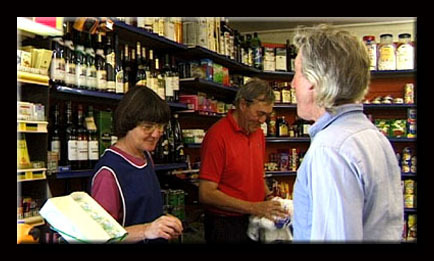 In 1984 Chris and I purchased an old farm building at College Farm from Roger Denton and had it converted into a new self-service shop. 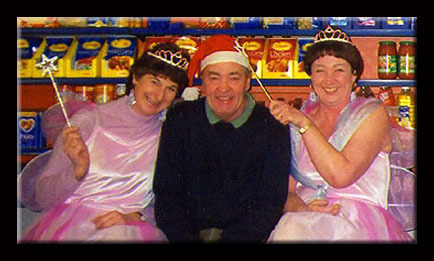 We moved into these premises in December 1984 just in time for Christmas!! 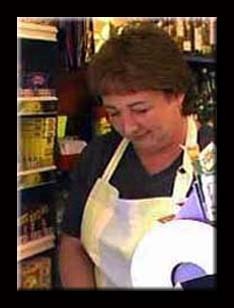 Maureen Tarbox had worked for Chris and Dawn on a part time basis but, in 1998 she left the shop to take up full time work in Newbury. 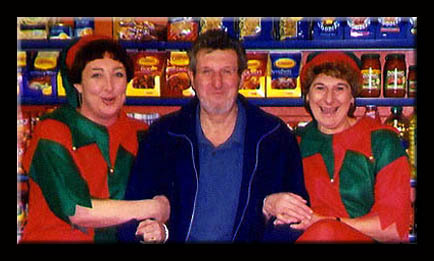 Wendy Highnett joined the team, fitting in seamlessly alongside Chris and Dawn within the shop environment. 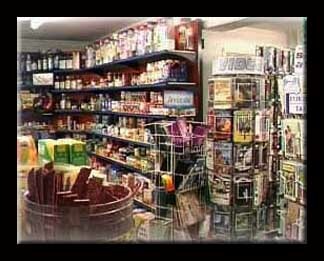 The shop itself providing for the village the essential services and items that are to be expected from any such village shop. 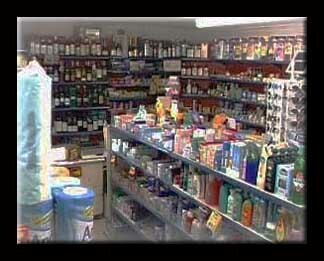 The shop itself was a veritable success,, stocked in such a way that it covered most, if not all of the basic requirements a commuity might need. 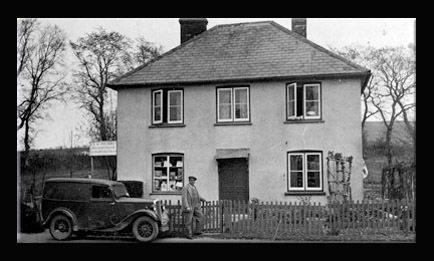 Coupled with the Post Office as it was - it played a major part in the lives of all who lived in and around East Garston. 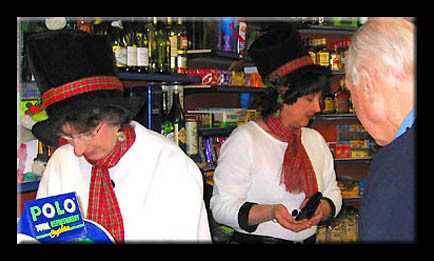 However, It wasn't all work and no play- Just for the fun of it, Dawn and Wendy decided in 2003 to dress up on Christmas Eve, appearing in the shop as elves. 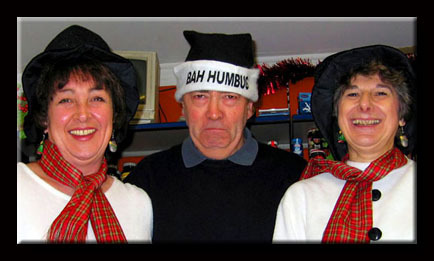 The following year on the approach to Christmas, customers began to ask what they were planning for Christmas 2004. Thus the idea was born that they should use the situation as a way of raising money for charity, the idea was well recieved by their customers and fully supported by all. 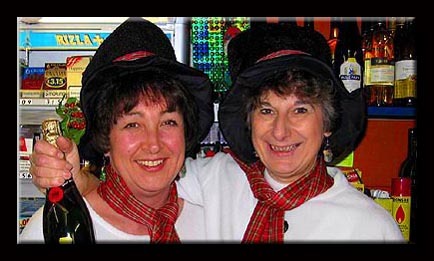 The Charity chosen to benefit each year, was the Helen House Hospice. 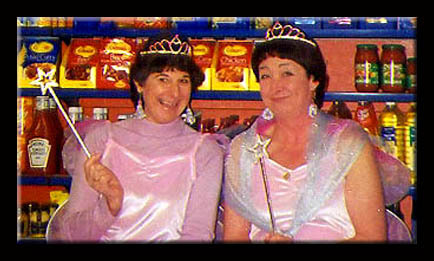 would appear at the shop on a Christmas Eve. selling the business to Mr Pom Jhuti and his son Peter.